Technology has been the greatest boon for those who tend to live away from their loved ones. Though not present in person, it is technology which enables them to witness all the action taking place on the other end of the globe. I don’t even need to mention the name of these services. While Skype and Google Hangout continue to rule the kingdom of video chats, there are other lesser known services which just about do the same. The newest addition to this hall of video and audio chats is Firefox. Why should you be excited about Firefox Hello? Remember the time when Google introduced the features of similar nature? What all did you have to do to enjoy the services dished out by it? For that matter, think about Skype, you might have had to complete few steps to see the face of a friend or a beloved, right? 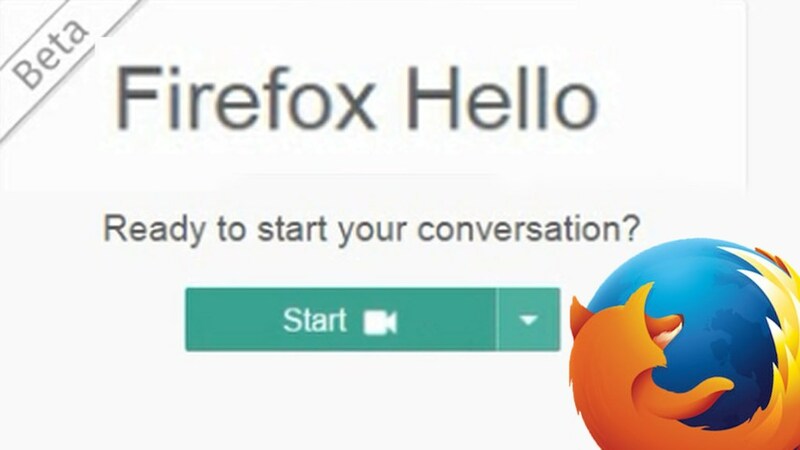 Firefox Hello is unique in this very sense. No set up, no installation, a camera would be welcome, but in case of its absence sweat not. All you need to have is a microphone and you are good to go. Then tap on Email to send the chat link through default mail application right on your browser (you can also copy paste the link in a different application designed for messaging ). Once your friend sees the link and clicks on it, a notification pop-up would emerge in your browser. You either accept or decline. Then you tap on the video camera or microphone, depending on the nature of conversation you desire to carry out. You can do the usual, turn off microphone or camera when and where it is needed in the course of conversation. Red button to end the call (you don’t need to be told that). But then, where’s my phone list? I may have to install something for that,right? If you already have a Firefox account then this part would be taken care of by it. And then, you can always transport all you Google Chrome contacts into your Firefox. One of the main things I dislike about these services is the liberty people take to disturb you by way of using these apps. Well, Firefox includes a Do Not Disturb button, which would block the pestering call notifications at an ungodly hour.